JUPITER, Fla., December 6, 2018	(Newswire.com) - Millennial consumers between ages 25 and 34 are the least generous — or most thrifty, depending on your point of view — age group when it comes to spending on gifts: They spend the smallest share of their disposable income on presents each year, while Americans 65 and older devote the largest chunk, a MoneyWise.com study finds. Older gift-givers also tend to give things that might be considered practical, like clothing or money for college tuition. Younger consumers favor gifts that might seem flashier or more fun, including jewelry, airline tickets and bottles of alcohol, the report shows. Their gift-giving habits reflect how millennials aren't into having a whole lot of material stuff but would rather spend money on exotic vacations, concerts and other types of experiences. At the other end of the scale, grandparents often have limited incomes, but they really do love spoiling their kids and grandkids, especially at the holidays. The seniors spend an average 2.6% of their after-tax income on gifts in a typical year, compared to just 1.07% for those in their mid-to-late 20s and early 30s. The millennial age group uses an even smaller share of their income to buy gifts than the very youngest adults, ages 18 to 24 (who spend 1.1%). After Americans 65 and up, the next most generous generation is those ages 55 to 64 (at 2.47%), followed by Americans between 45 and 54 (2.26%), and then the 35-to-44 age group (1.2%). "Their gift-giving habits reflect how millennials aren't into having a whole lot of material stuff but would rather spend money on exotic vacations, concerts and other types of experiences," said Doug Whiteman, MoneyWise.com editor-in-chief and saving-money analyst. "At the other end of the scale, grandparents often have limited incomes, but they really do love spoiling their kids and grandkids, especially at the holidays." Americans ages 45 to 54 spend the most on toys and games to give as presents: an average $53 per year. The under-25 crowd spends more money on gifts of jewelry and watches than any other age group: $20 per household per year. Those between ages 25 and 34 spend the most on alcoholic beverage gifts: an average $23 annually. Pre-retirees between 55 and 64 spend the top dollar amount on edible presents: $170 on food gifts each year. Travel-related gifts -- including airline tickets and gas station gift cards -- are favored by Americans between ages 35 and 44. They spend an average $259 per year on those presents, more than any other age group. METHODOLOGY: MoneyWise.com accessed data from the U.S. Bureau of Labor Statistics' latest Consumer Expenditure Survey of more than 130,000 U.S. adults, published in September 2018. The survey breaks down its results into six age groups: under 25; 25-34; 35-44; 45-54; 55-64; 65 and older. We divided the average total annual spending on gifts for each age group by the group's average after-tax income to determine the relative generosity of each generation of gift-givers. MoneyWise.com was founded in 2017 and is part of Wise Publishing, Inc. With editorial offices in South Florida and administrative offices in Toronto, we provide trustworthy and valuable personal finance information, news and tools to help consumers save money, find the best bank accounts, choose a credit card, get a mortgage and navigate many other money matters. We like to make the subject matter fun, but we're serious about our mission: to help our readers make smart financial decisions and get ahead. Copyright © 2018 Wise Publishing, Inc., All rights reserved. 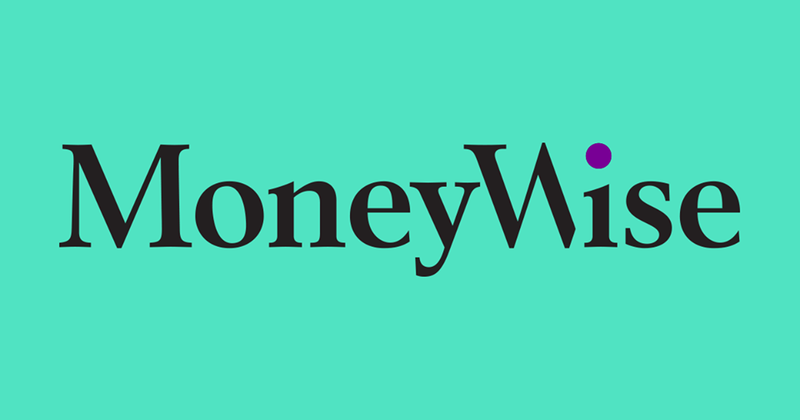 With editorial offices in South Florida and administrative offices in Toronto, MoneyWise.com and Wise Publishing, Inc., provide trustworthy and valuable personal finance information, news and tools to help consumers make smart choices and get ahead.